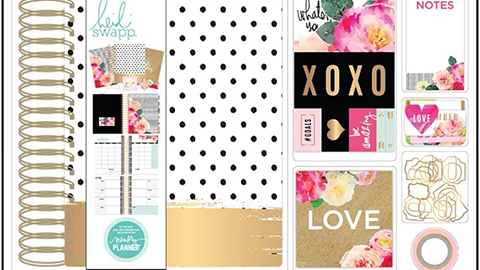 A big list of Cardmaking & Scrapbooking Facebook Groups to Join! We’ve put together a big list of Facebook groups for papercrafters, cardmakers and scrapbookers. There are 100’s of Papercraft groups and we hope to continue adding to this list of cardmaking groups, scrapbooking groups and general papercrafting groups. It was great to get feedback from you all on which your favourite facebook papercraft groups are – if you haven’t already commented, add your favourites on this post! We will add your favourite to the list of cardmaking facebook groups below! So what is a Facebook Group and how is it different from a personal profile or Facebook Page? Many of you will already know all of this, but for those who find the online world a bit of a maze at times, we thought we’d help explain what a Facebook group is and why you might want to be a part of one! There are lots of benefits, especially for all us creatives! A Facebook Page is a public page, every post is public and they’re usually run by businesses or personalities and brands to promote their products, art, or just keep fans up to date with news. Facebook groups are different. They are more about sharing and discussion, about building communities and chatting. No one individual member is more important than another, apart from having admins who make sure the group follow the rules. It’s like being part of a club. Groups are usually formed around common interests or concerns. You must follow the rules when you join a group, rules are different in every group, some encourage you to sell things and share blog posts, others ban it. Often you will be asked a few questions before you join to check you are genuinely interested in the group. Make sure you answer them or your request to join will most likely be ignored. This type of group is great as only the people in the group get notifications of the people posting. So you can share all those pics without worrying that all your friends and family will be getting notifications. It’s also good because most private groups have admins who monitor carefully who joins, so you’re less likely to get spammers. These groups can be found in a Facebook search but you have to apply to be a member and you’re usually asked a few questions about why you want to join. The only difference from the closed group is that the group can only be found by people who have been invited. Usually for personal groups where people want to know everyone in the group, like a family group for example. These groups can be joined by anyone, there are still rules but the admins/owners don’t have to approve every member. Your posts can also be seen by everyone and friends and family may get a notification of your posts. In no particular order, just a lovely list of inspiring groups to join! Over the next few months we hope to build this list up, so if you know a group we should list let us know on our Facebook page – just share a link to the group on our wall! All of these groups have been suggested by CraftStash fans and we’ve added a few more we’ve found along the way too. We’ve copied and pasted the ‘about’ sections. About: A group to share our papercraft skills, knowledge and tips. Any paper or card based crafts are allowed. Please share your makes, ask for help with your projects or stash and join in our activities where you wish. About: Welcome to Card Making Tips group, this group is designed purposely and solely for Greetings Cards. About: This group is invite only group and focuses on cardmaking tips, tricks, and inspirations! We also host giveaways frequently. About:This group is a place for Creative Friends to come together and Craft , Chat and Inspire one and other.